This is an extraordinary book, one that can make the needed connection for young children to see human beings as more than their circumstances. On a chilly day, a homeless man wanders lonely through the streets, until a child’s kindness lights up his world. It’s not just the sharing of a sandwich or the smile that unlocks hope, though – her real gift turns out to be much more profound. A picture-book treasure. At the end of the day, he goes to a park where the little girl sees him. She offers him her sandwich, and this act of kindness helps him to feel a part of society again. The pencil sketches washed with a muted palette that match this quiet story, originally published in France, express the despair of the homeless old man and the difference a small act of kindness makes to him. The honest, innocence of children looks at the subject of homelessness in a truly beautiful way. Looking beyond prejudice& someone’s circumstances,demonstrating that empathy & kindness are all that’s needed. Young readers will be empowered. A brave, sensitive book, particularly topical in Ireland. the slightest tint of color. This is quite a special book. It’s a beautiful and moving picture book. It has a powerful message and I think it’s got a power to make a difference as well. This gem of understatement stopped me in my tracks and I’m sure it will for everyone as they read of the plight of one homeless old man. Drawn in soft, watercolor pencil, this is an important story for our times. This gentle, compelling book will appeal to a child’s sense of justice and to every reader’s compassion. They are shadowy, chilly and seep under the skin like a shiver. An important book about small acts of kindness. This book is haunting me. I make everyone I meet read it. It’s so important. On our city streets we see more and more homeless people. Our children see them too. I would hope a book like The Old Man might show adults that kindness counts and give our youngest children a small glimpse into the lives of people who are less fortunate. This book is fascinating in so many ways. It’s very sparsely worded for the most part and the text is factual, allowing the illustrations to provide much of the emotional storytelling…Though this is a tough read, it’s a stellar way of showcasing how a little gesture can go a long way. 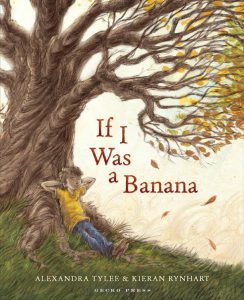 Gorgeous illustrations accentuate the moving text of this deceptively simple tale; a poignant look at the world we live in and the beauty of hope that can be seen shining through. An important introduction on poverty, kindness, and gratitude. Keep the Kleenex close for this heartbreakingly beautiful read. 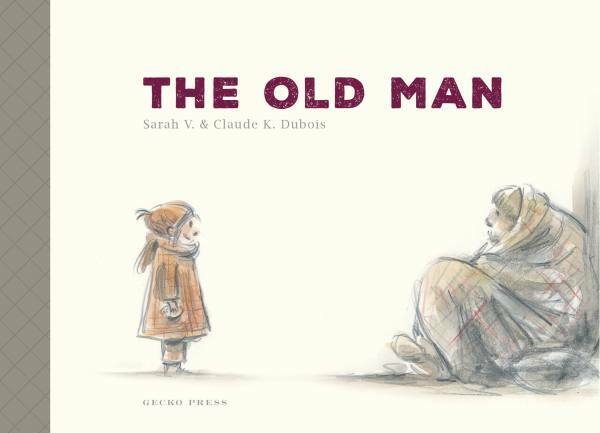 Do not pass by this book like adults who pass by the old man living on the street who has forgotten his own name….The sadness and reality of homelessness is powerfully brought home in this classy picture book. The illustrations in watercolour and pencil drawings are superb. There are very few picture books depicting homelessness, and this quiet story about the smalls things one can do to help begins to fill that void. The Old Man is truly a lovely book, charming and raw in its honesty. The images will definitely stay with me; they make me want to share this story with anyone and everyone, child and adult, as I believe it is a narrative that we can all learn from. 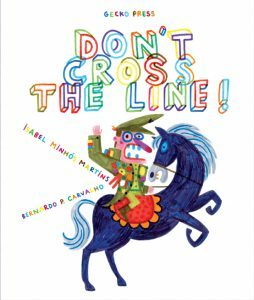 I read this aloud to every class at my intermediate school last term and it prompted interesting conversations and generated awareness. Some kids were adamant that ‘it was probably their own fault’, which prompted even more discussion. A beautiful book. 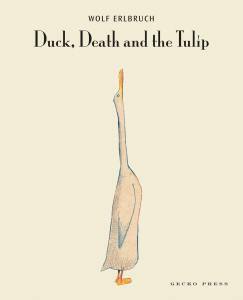 I was surprised at its success as it’s quite a small format book and the illustrations misty and indistinct – part of its beauty and captures the emotion of the story perfectly, but I managed to share it with whole classes – even a double class that came unexpectedly, and it was well received every time.